Fall in the Sierras is an incredible time! The air is crisp in the morning and grows comfortably warmer from the afternoon sun. The towns are quieter as most visitors are returning home from their summer vacations. And the trees! Beautiful aspens turning from light green to orange to a fiery-red. Imagine walking through an aspen grove at all stages of these colors, the fallen brown leaves crunching beneath your feet… This is fall in the Sierras! There are some great fall hikes to explore these beautiful places as the seasons change. 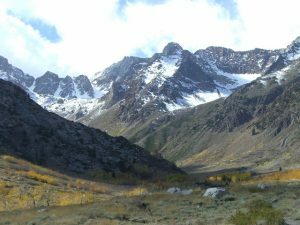 If you are in the Mammoth Area, check out the Sherwin Lake Trailhead: located off Old Mammoth Road, this trail is just past the creek and through the Sierra Meadow’s Pack Station. 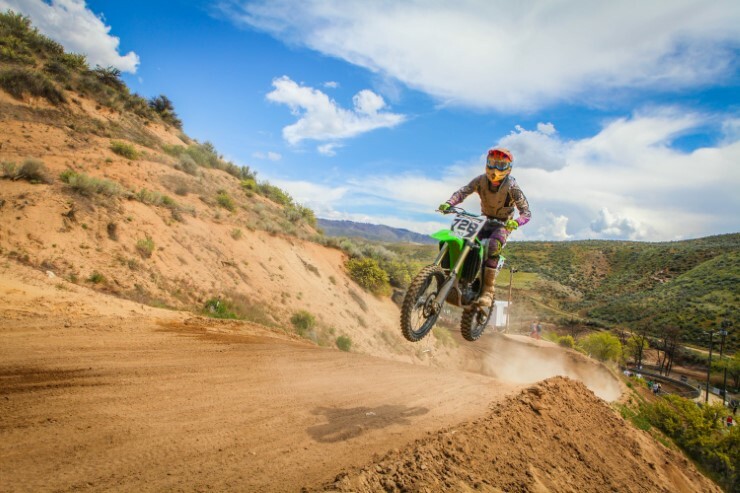 Travel two miles towards the Sherwin Creek campground and park near the old motocross track site (clearly marked). This trail provides an easy hike and good fishing. 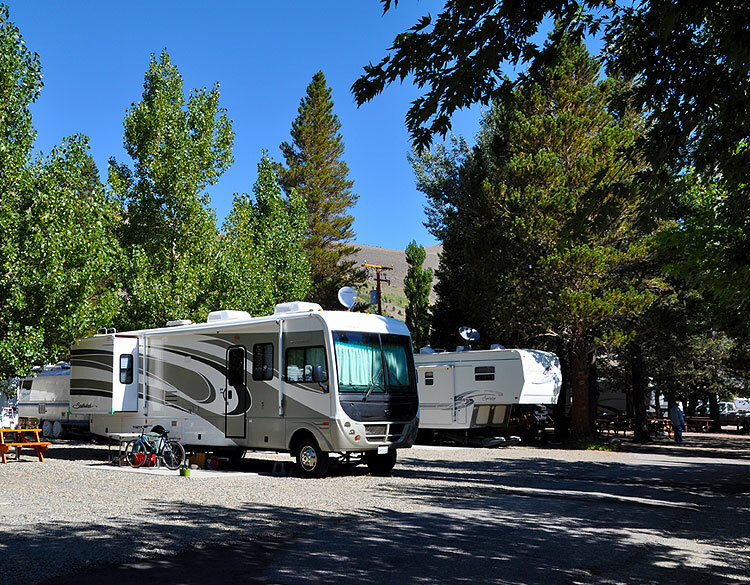 If you are in the June Lake Loop, you are likely next door to a large aspen grove. For an easy hike, leave your car at the Gull Lake Park and follow the road around the lake north-west (to the right of the parking lot). 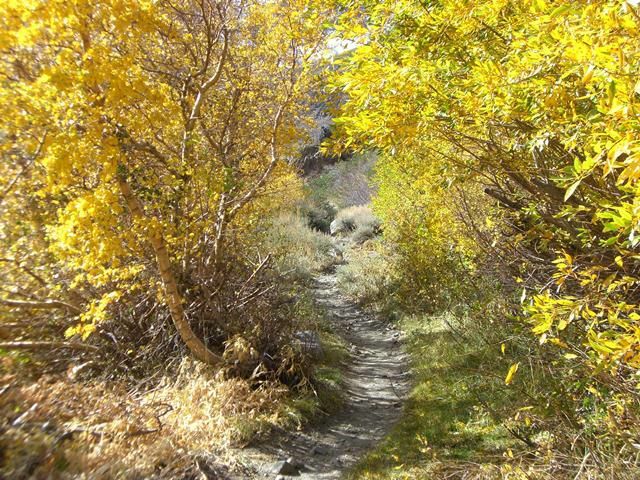 More moderate to difficult hikes can be found on the June Lake Loop road, ½ mile in from the north junction with Hwy 395. 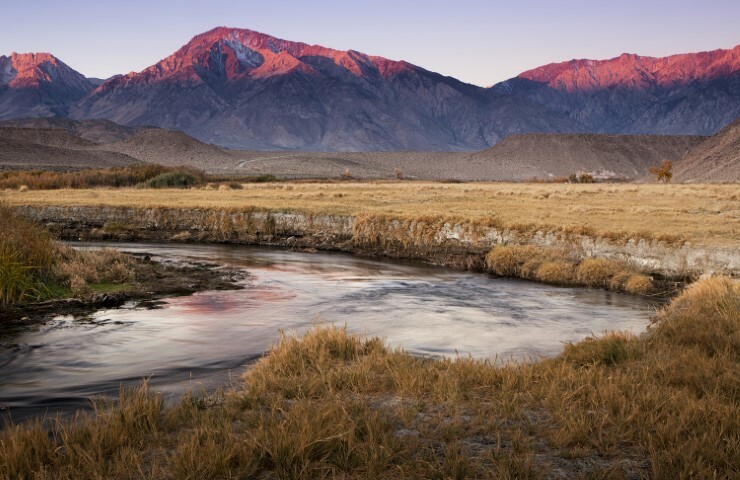 From here, you can take an easy (but long) hike to Parker Lake, or a difficult (shorter) hike to Walker Lake—both lakes are exceptional fishing spots! 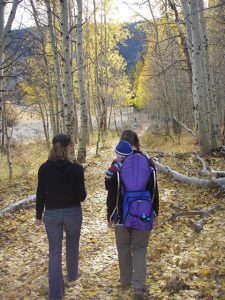 From the Lee Vining area, great fall hikes can be found near the campgrounds along the road to Tuolumne Meadows, or even in the town itself. On the south-east entrance of Lee Vining, a trail drops down along Rush Creek and ends up at the Mono Basin Scenic Area Visitor Center (at the northern end of town). 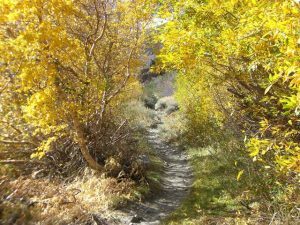 This trail, a hidden treasure to the locals, is bursting with color in the fall. 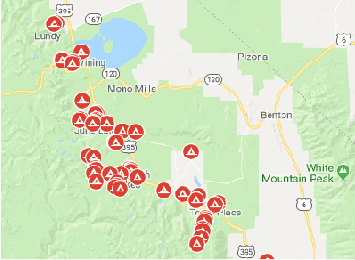 Please share pictures of your adventures, and for those visitors from lower altitudes: remember to allow a day of rest to get used to the altitude before taking on any high-energy activities in the Sierras!